The Arena Floor of the AT&T Center is sure to provide a unique experience for your guests. Perfect for sporting events, concerts, banquets, and creative team building events. The versatility of our floor accommodates all types of entertainment! Amenities: Full digital package including LED center video screens, 360 LED ribbon, and corner displays alongside an in-house sound system. 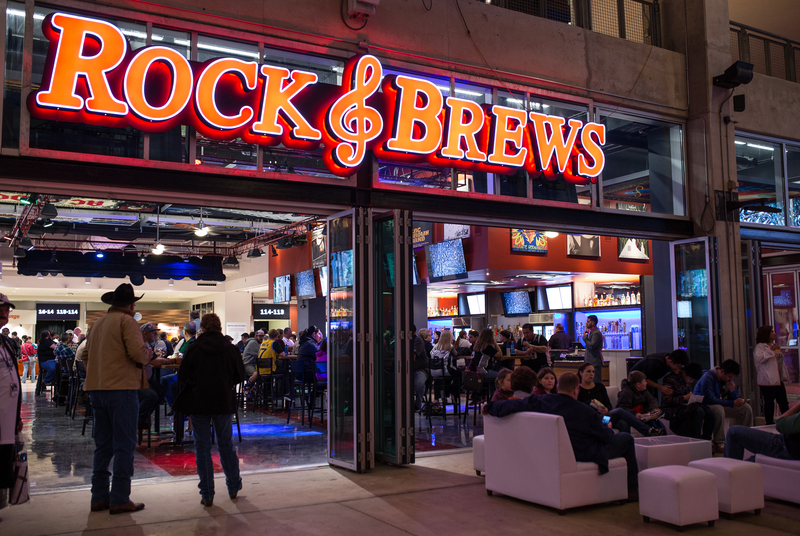 The new family-friendly, rock-inspired dining and entertainment concept from Rock & Roll Hall of Famers Gene Simmons and Paul Stanley of KISS. This energized, indoor/outdoor environment that includes concert lighting, a ceiling dedicated to some of the biggest names in rock history and music-themed art that pays tribute to past events at the AT&T Center. Perfect for corporate happy hour, watch parties, and birthday parties. Amenities: 15 large HDTV’s, speakers, bar and food service. 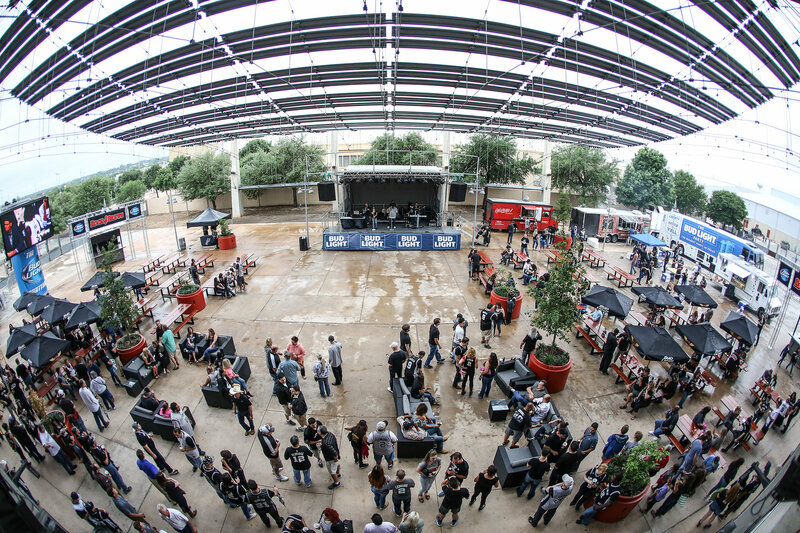 The Bud Light Courtyard provides a unique outdoor experience and entertainment venue. Perfect for concerts, fundraisers, watch parties, and much more. Combine this outdoor space with Rock & Brews to create a one-of-a-kind experience. Location: West end of the facility on the street level. Amenities: 16’ x 9’ outdoor LED screen, party lighting, stage that can be equipped with full sound and lights, fire pit, and indoor/outdoor space. 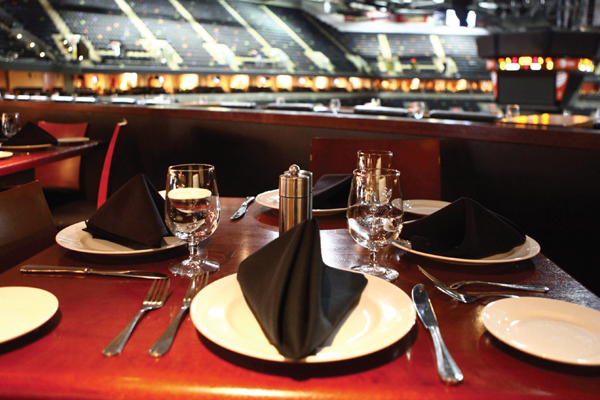 This space is great for dining while giving you a sneak peak of the arena. Perfect for luncheons, VIP parties, happy hours, and private dinners. Come experience our fresh and innovative cuisine provided Levy Restaurants which is sure to impress any client or guest. Amenities: Private bar, multimedia capabilities, TVs, and private balcony. Come hang out under the Atomic Spur, enjoy a drink and the views at the Porch. Perfect for receptions, lectures, meet and greets, and happy hours. Amenities: Floor to ceiling windows, bars, HDTVs, two private balconies, and built-in audio. The H-E-B Fan Zone will sure to be a hit for any group. Perfect for pre-game festivities, private parties, informal occasions, and mixers. Play and eat while viewing the home court of your San Antonio Spurs! Amenities: Over 50 TVs, private bar, games, 2 private balconies, and arena bowl view. If you’re looking for a unique space to hold a private meeting, focus group, or presentation one of our business centers is the perfect spot. Enjoy executive style seating with a view of the grounds and have our in-house caterer provide you lunch. 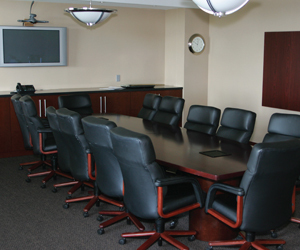 Amenities: Multimedia capabilities, teleconferencing, HDTV, and internet. With a center bar, televisions and arena views the space is a great location for private parties, cocktail receptions, meet and greets, and intimate gatherings. 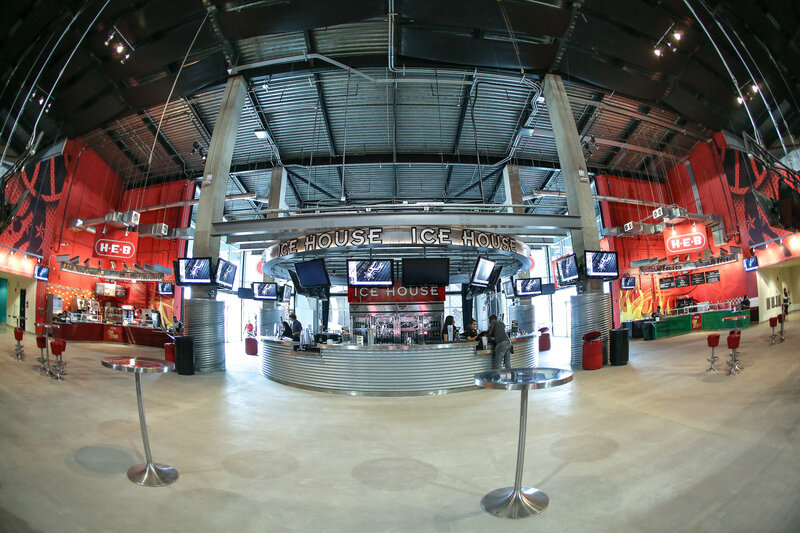 Amenities: 2 available, multimedia capabilities, private bar, HDTVs, arena views, and exclusively luxury arena seating. The Saddles & Spurs Clubs are a multipurpose space that can be utilized for “fireside” chats or receptions. This premium food and beverage area is perfect for cocktail receptions, meet and greets, holiday parties, and other casual events. Amenities: Multimedia capabilities, private bars, HDTVs, built-in audio, and casual seating.